Powerful, torquey fuel-injected 449cc engine. Slim, aggressively styled chassis and bodywork. Electric starter. Full-function, two-mode instrument cluster. Enduro lighting. Additional chassis protection. 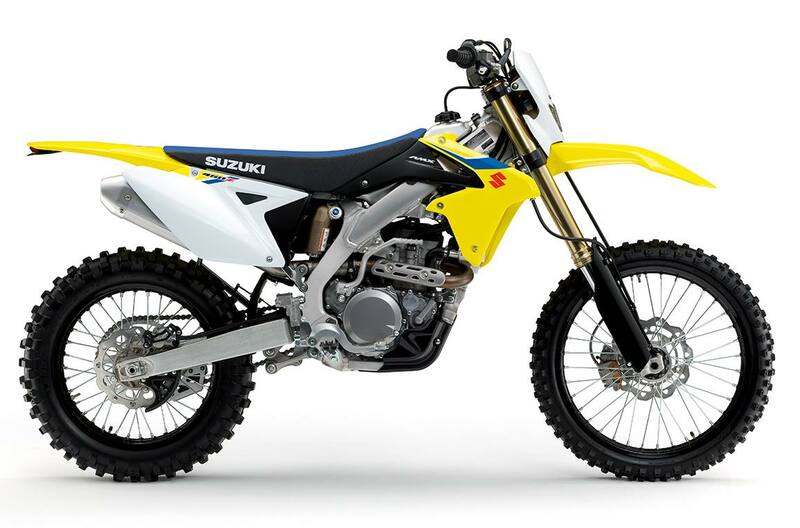 Sharing core technologies with Suzuki’s Championship-winning open-class RM-Z450, the RMX450Z rewrites the rules for serious trail riders. Aluminum-alloy twin-spar frame with high-performance SHOWA fork and piggyback-reservoir style rear shock. Racing-inspired graphics and colors include fork clamps that are anodized black, complementing the gold fork leg finish. 449cc 4-stroke, 4-valve, liquid-cooled, fuel-injected DOHC powerplant is based on the high-performance and reliable RM-Z450. 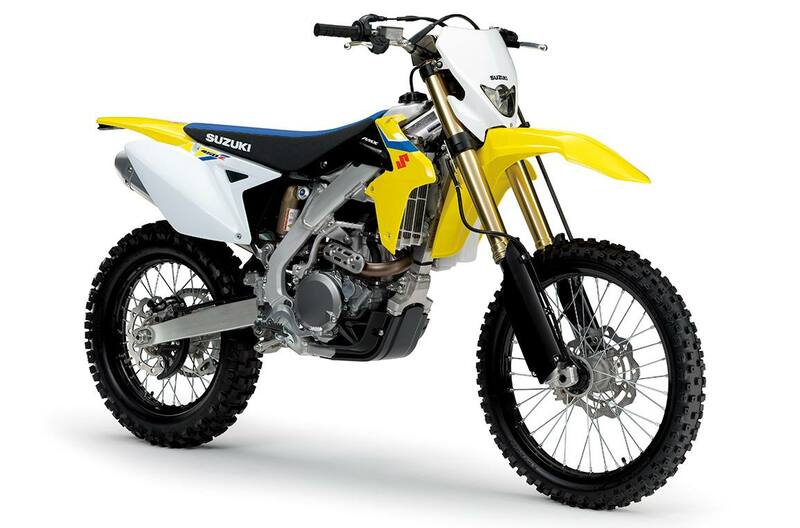 Minimal differences as compared to the RM-Z450 motocross engine includes a modified inlet tract and revised cam profiles to increase low and mid-rpm power. A larger magneto-generator is fitted to charge the battery and power the lights. The increased mass also aids traction. The airbox features a hinged lid for quick air-filter maintenance and better protection from debris. Strong 5-speed transmission with wide gear ratios and primary/final drive ratios selected to suit various situations from steep trails to open terrain. The aluminum-alloy twin-spar frame combines cast and extruded sections to achieve low weight with high rigidity and durability. Aluminum, link-style swingarm is descended from the RM-Z line and uses a fully adjustable SHOWA piggyback-reservoir style rear shock. High-impact, black plastic fork leg, plus rear brake rotor and caliper protectors shield these components from trail obstacles. Bright 35W headlight is smoothly incorporated into the front number plate. Trim, low-draw LED taillight is neatly tucked under the lip of the rear fender. The full-function, dual (sport/standard) mode instrument cluster is in a durable, ultra-compact housing.